Samsung won’t back down from creating amazing products any time soon. The company’s new invention, the Galaxy Buds had been causing some waves for some times now and that’s really important because this device will change everything you think about Samsung to the positive. We all of course know the Apple AirPods was sort of a dominus in the earbud business over some times now but that might really change over the cause of few time with the Galaxy Buds being the preference of many Android users. While we can’t yet say which device is way much more better yet because we’ve not tested one by ourselves over here at Brumpost, we’ll continue with what we think makes the Galaxy Buds an amazing device that’s worth your money. One big difference between the two devices would be their designs.Wile Samsung had approached the tiny mode, the older Apple AirPods has a tail making it look like a tadpole or just a normal earpiece without the cord. 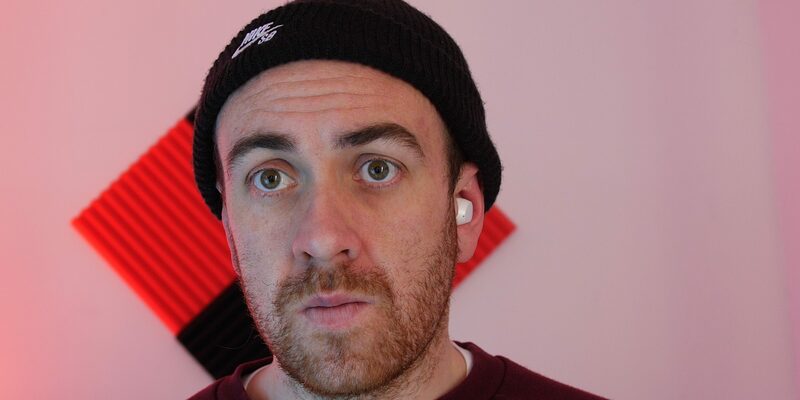 While some of us are already used to the tailed AirPods which makes it quite obvious that you’re at least putting on a device, the Galaxy Buds just stick within your ear making it a bit hard to catch by onlookers especially if you’re walking down the street and you appeared to be speaking to yourself while being on call with the Galaxy Buds. It’s also noteworthy that the Galaxy Buds are sort of bulgy unlike the AirPods which are much lighter. The Galaxy Buds are slightly bigger and protrude more than the AirPods, but they sit more snug in your ear thanks to different wingtips that you can swap out for a better fit. The Buds come in black, white or yellow. Now, let’s talk about comfort. Do note that we’ve not really gone through the device extensively but we had a little bit of walk around with it and it does feel great. I personally did tried it on during the launching. While the shape and size of your ear matters most to consider the comfort level of the device, you should note that the device’s shape isn’t fit for all. That’s where the Apple AirPods comes in considering it’s conventional design and the tail makes it easy to grab when you want to pul it out of your ear. The Galaxy Buds has rubber tubes that goes into your ear making the audio quality amazing but reducing ambient noise and external distractions. This is especially great feature when you want to avoid side talks while traveling in the metro. The tips of the AirPods make them susceptible to falling out if you brush up against them with your hand. Neither one is fully water resistant, but the Galaxy Buds have an IPX2 rating which means they’ll withstand intense sweat sessions. Both these earbuds magnetically clip in to their cases for storage and to recharge the battery. 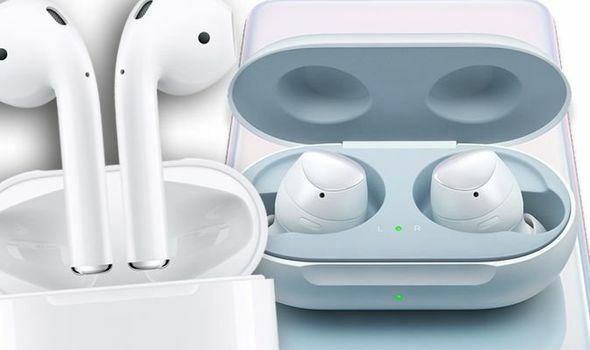 The Galaxy Buds have a slightly larger case that looks a bit like a cylindrical pillbox or contact lens case, while the AirPods have a smaller case that reminds me of dental floss. Features: What else can these buds do? The moment you open the casing of either the Galaxy Buds or the Apple AirPods, they connect seamlessly with their respective company’s smartphones. But how about using the Galaxy Buds for example with a none galaxy smartphone or device maybe your PC. Connecting either of these buds with external or third party hardware isn’t as seamless as it would work with the company’s devices though you can still connect them using bluetooth to your Huawei smartphone for example or Tablet or HP Tablet. Once paired, both buds allows you tap to control calls, music playback or summon a voice assistant (Siri or Bixby, respectively). Customize the AirPods controls from the Bluetooth settings on your iPhone and pick from four different options: play and pause, skip forward, go to the previous track or summon Siri. When paired with Android, the Galaxy Buds can be customized through the Galaxy Wear app. They offer the same tap controls as the AirPods, plus the ability to adjust the volume from the buds. You can increase or decrease ambient noise and tune the sound quality from the app. If you’re using the Galaxy Buds with an iPhone, however, you’ll only be able to use the default controls. The level of customization on the Galaxy Buds is unbeatable, but if you do choose to customize the taps, remembering what gesture controls what feature may take some time to master. Out of the box, the sound quality on the Galaxy Buds is notably richer. Because of its tighter fitting design, you don’t have to pump up the volume as much to hear your music. If you’re listening to the AirPods by themselves, the sound quality is perfectly adequate. It’s only when listening to them side by side with the Galaxy Buds that we noticed they sound a littler thinner and weaker. The AirPods’ more open design also means you also need to crank up the volume if there’s a lot of ambient noise competing with them. Sound on Galaxy Buds is tuned by AKG, and you have the option to customize the sound profile in the Galaxy Wear app. The app also gives you an Ambient Sound setting that brings in more outside noise when paired with Android devices and has a Voice Focus option that makes voices stand out. In the real world, these features do let in more ambient sound and let you hear voices more clearly, but it can sound like you are in an echo chamber, and you still don’t get as much ambient noise coming through as you do with the AirPods. The AirPods don’t have a native app, but you can use an equalizer in your music app to adjust the sound. We still preferred the AirPods over the Galaxy Buds for walking commutes or runs where you have to be aware of your surroundings, even with the Ambient sound option enabled. For calls, we had the opposite experience. Both buds have dual microphones, but the AirPods isolated the voice better in the call while the Galaxy Buds let in more ambient noise. The AirPods sounded much clearer and louder to the person on the other line. The Galaxy Buds lasts for 6 hours according to current claims from other reviewers. That’s not to say the device supports Bluetooth 5.0 but the AirPods has the Apple’s W1 chip. While the Apple AirPods did a continuous music playback for 5 good hours, the Galaxy Buds did outperform it slightly by 2 hours which is very great. The AirPods use a lightning cable to charge, while the Galaxy Buds have a USB-C port. To state the fact, The Galaxy Buds is much more better than the AirPods considering the fact that it has much more values and qualities that sets it aside from the AirPods. The sound Quality of the Galaxy Buds is great and the battery lasts longer. Being able to wirelessly charge it is another great thing about the device. It’s cheaper than the AirPods and it’s more durable. While the AirPods stands it’s own ground in some aspects for example, the tail could be a good advantage to some and the Galaxy Buds might not fit right well into your ear making it fall off every now and then. Better still, both devices are great just the Galaxy Buds is better.